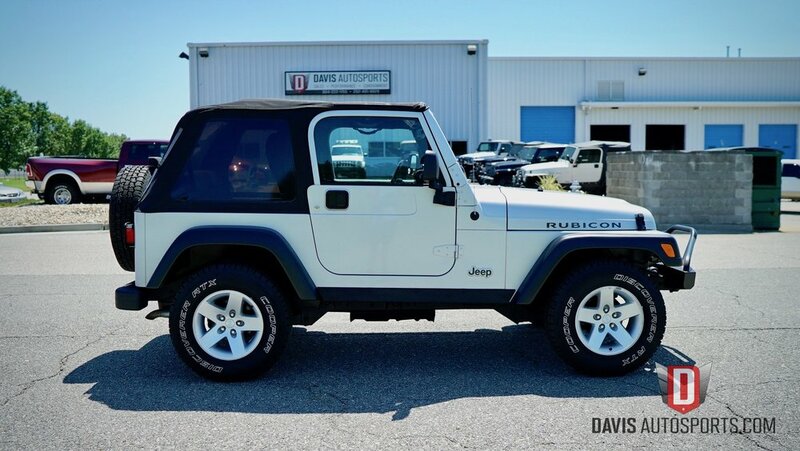 Thank You for viewing this Super Clean, Stock 2005 Jeep Wrangler Rubicon TJ brought to you by Davis AutoSports!! 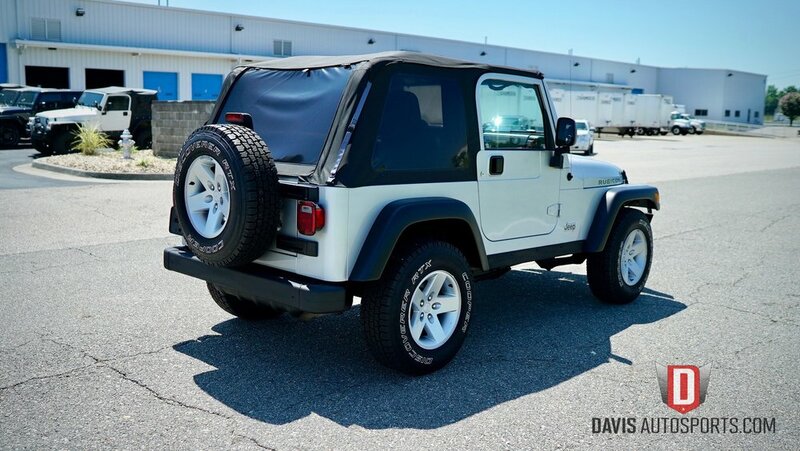 This Jeep is in Exceptional Condition for the year and has Only 115k Original Miles!! The previous owners took Great Care of this vehicle both Cosmetically and more importantly, Mechanically!! Like with all of our vehicles, this is a Carfax Certified Vehicle!! 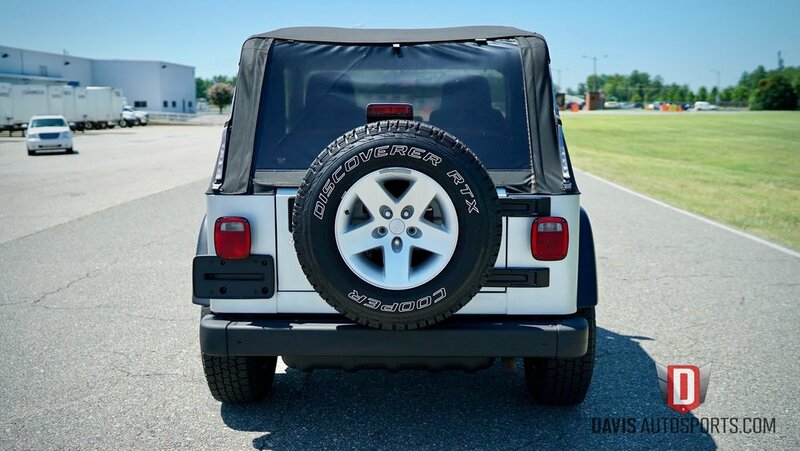 This Jeep comes with a VA State Inspection to ensure it's Safety and Great Mechanical Condition!! We Specialize in Jeeps here at Davis AutoSports...from CJ's & XJ's to TJ's & the New JK's, we are a true one stop shop for Jeeps. We Fully Lift & Modify Jeep Wranglers and XJ Cherokees and can customize this Jeep to your specifications!! 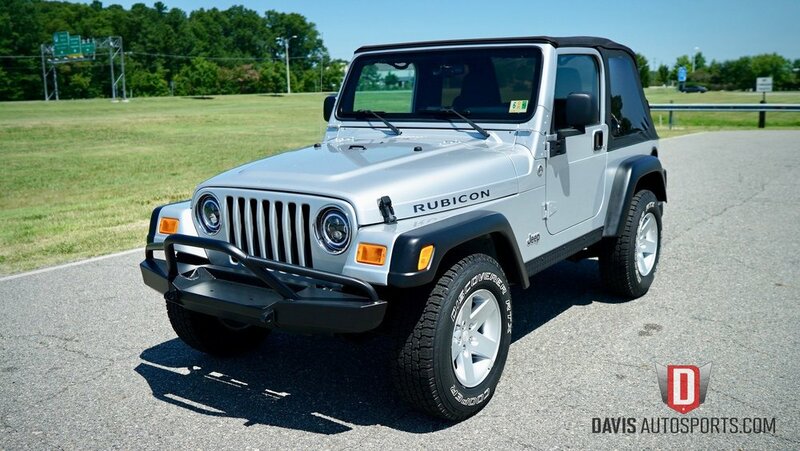 These Rubicon TJs were only produced from 2003 to 2006 and to find one Stock with Good Miles and in Pristine Condition is very rare!! 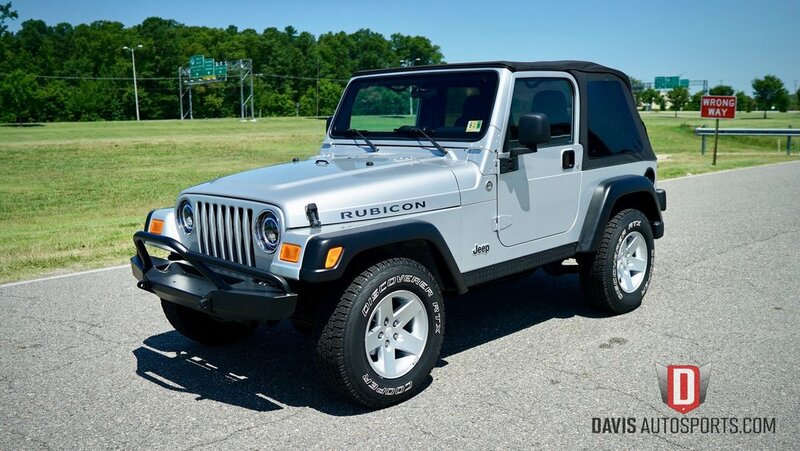 Please take your time and read the entire listing, view the 100+ pictures and watch the HD Video to see Everything this 2005 Jeep Wrangler Rubicon has to offer!! This is the Perfect platform for a custom build!! 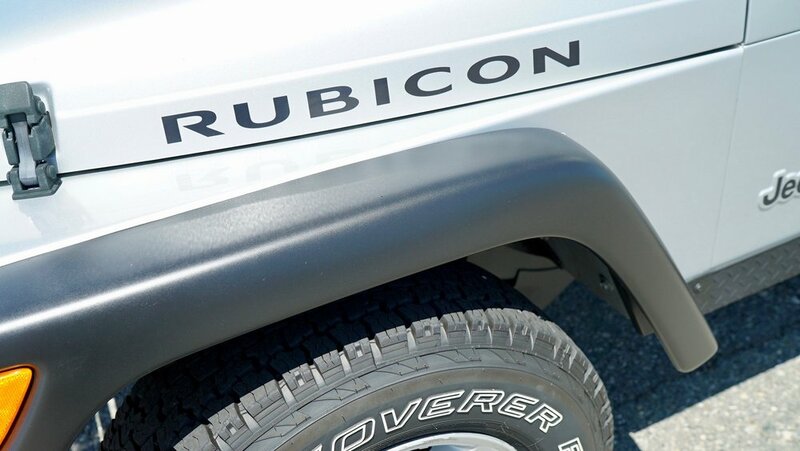 Start out with a Pristine Rubicon with low miles and we can build the Jeep to your specifications. We can do as little as adding 31" tires to a full suspension lift with upgraded components, wheels, tires, bumpers, winch, aux lighting, etc. Please contact me for pricing, availability and we can build your dream Jeep!! 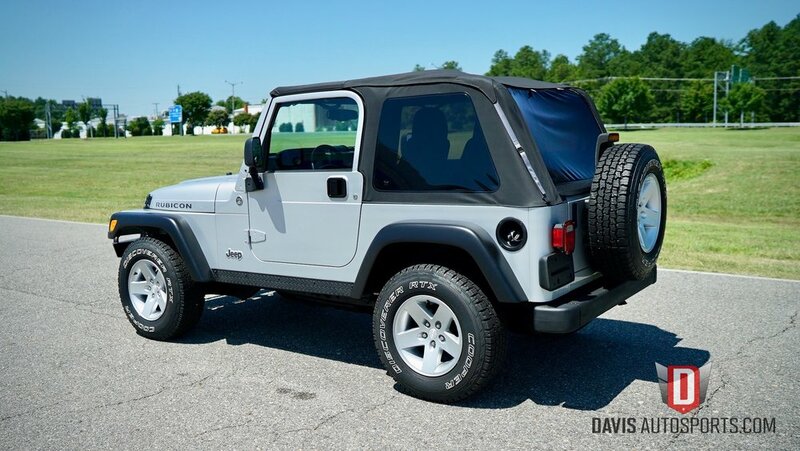 The Exterior of this Wrangler is in Exceptional Condition for the year and miles!! This Jeep is Silver a Black Soft Top, Black Flares and Bumpers!! This vehicle was traded in with the Upgraded Heavy Duty Front Winch Bumper and is in great shape. I can install a Winch and an LED Light Bar or Fog Lights to upgrade the front end if the customer chooses at a great price!! I tried to include as many pictures as possible, and a video, so you can see the true condition of this Wrangler!! Please keep in mind this is a Pre-Owned vehicle so it will show some minor wear. Overall, the Silver paint is in Beautiful Shape with a Super Smooth Finish & Deep, Glossy Shine!! 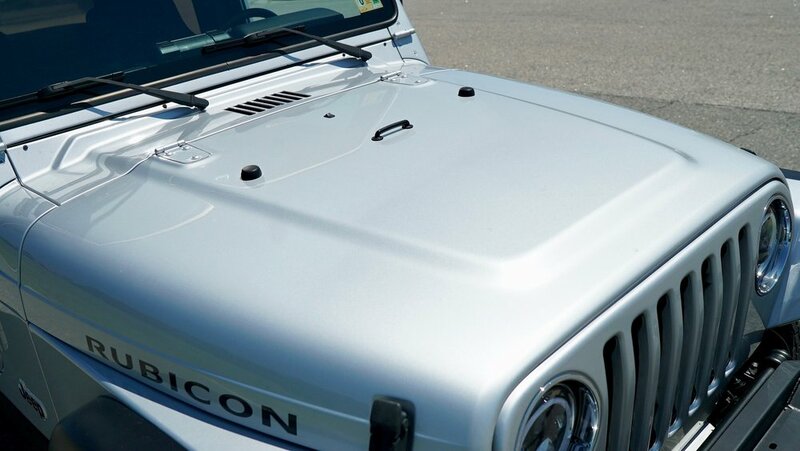 We performed our Paint Correctin Service which is a full wet sand, buff and polish and the Jeep looks amazing!! 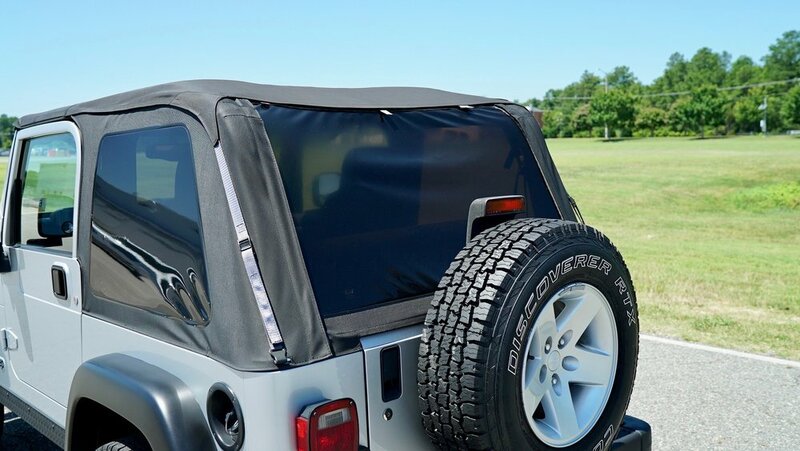 You will see from the pictures and videos, the truly Great Condition of this Wrangler. 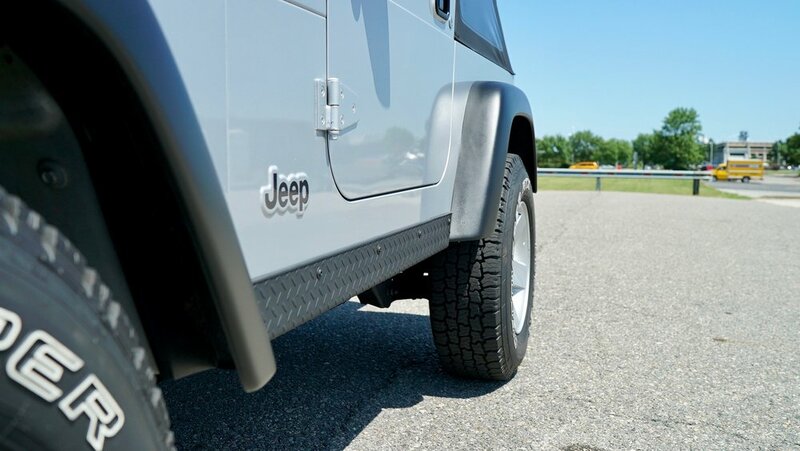 The fender flares and rear bumper were trim painted black to bring them back to their like new appearance. 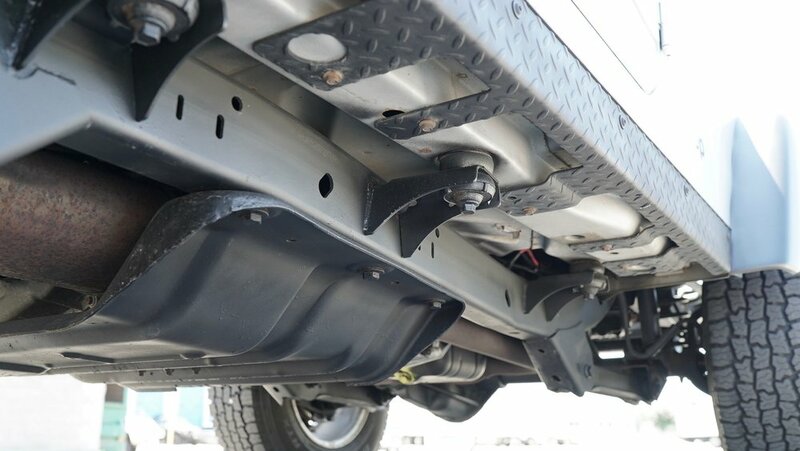 These parts fade over time and become very light gray so we scuffed these parts, taped off the entire Jeep to protect from overspray and painted the flares and rear bumper!! They came out great as you will see in the picture below!! The Engine Compartment is Clean and Well Maintained!! The body is in Exceptional Shape as you will see in the pictures and videos!! 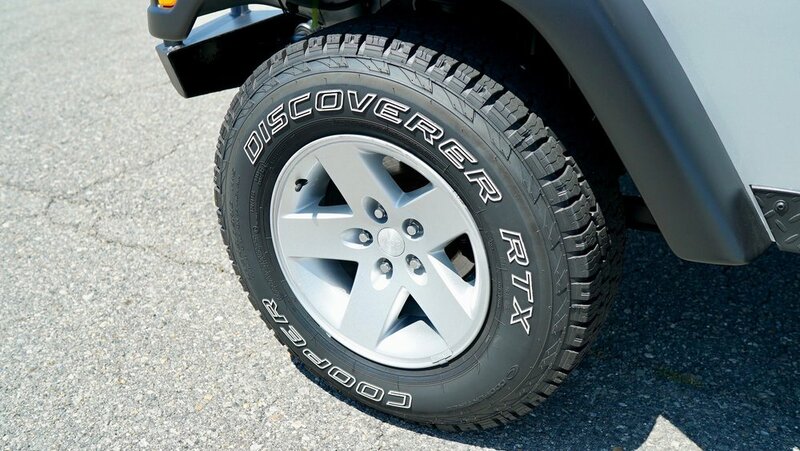 The Rubicon Wheels are in great shape and the tires have LIKE NEW Tread and provide a super smooth ride!! 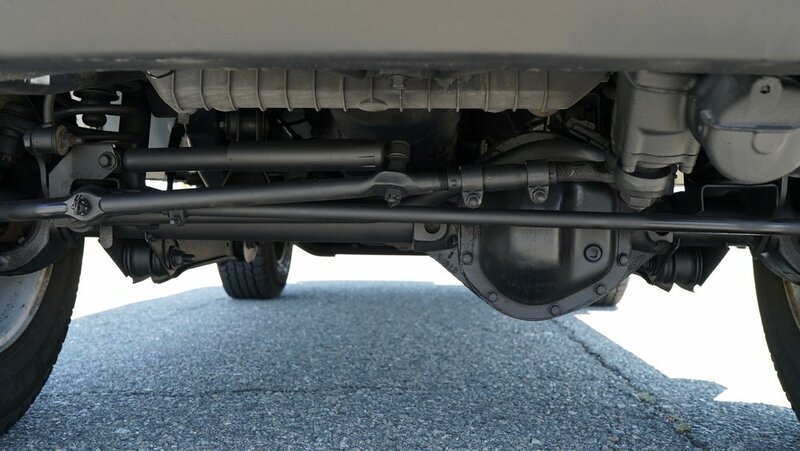 The Undercarriage is in Exceptional Condition and the Smooth Frame is has Absolutely ZERO Rust issues!! Overall, the Exterior is in Excellent Condition but please keep in mind, this is a Pre-Owned vehicle and may show some very minor wear and professionally touched up scratches & rock chips!! 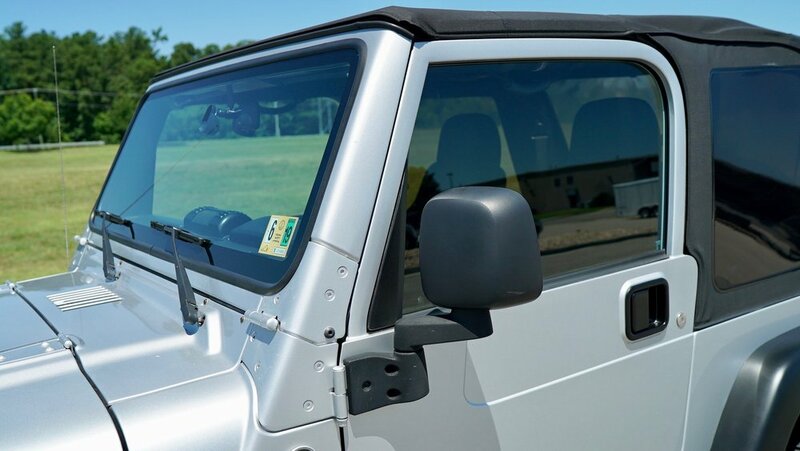 Please look at all 100+ pictures and the videos to see the Amazing Condition of this 2005 Jeep Wrangler Rubicon!! 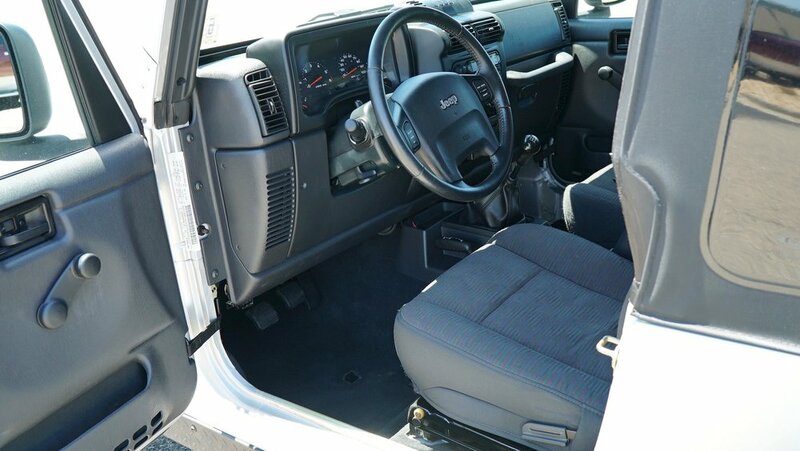 The Interior of this 2005 Rubicon is in Exceptional Condition for the year and miles!! The Black Cloth Seats are Very Clean with no rips or tears!! The Black Carpets are Extremely Clean as well and show little to no stains. 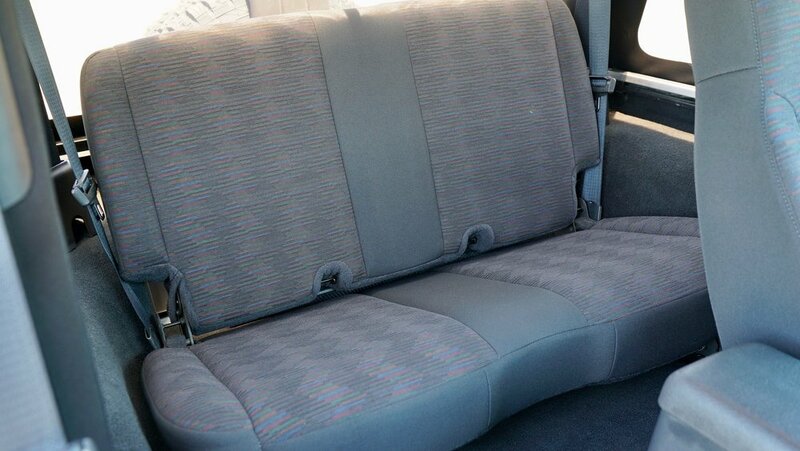 All dash areas and door panels are Extremely Clean as you will see in the photos and show very little to No wear!! This Wrangler HAS AC and it blows ICE Cold!! The photos below will show EVERY part of the interior so you can see for yourself how Clean and Very Well Kept this Jeep truly is!! This 4x4 comes with AC, Tilt Steering Wheel, CD Player, Upgraded Subwoofer, 6 Speed Manual Transmission, Center Console, Padded Roll Bars, Folding Rear Seat, All Books and Manuals, Floor Mats and a few more options!! Please keep in mind this is a pre-owned vehicle and will show some minor wear. It's obvious the previous owners took great pride in keeping this Jeep as clean & maintained as possible!! I would honestly give the Interior of this Jeep a 9 out of 10...it's that clean!! Please view all pictures and videos to see the truly Amazing Condition of this Jeep!! 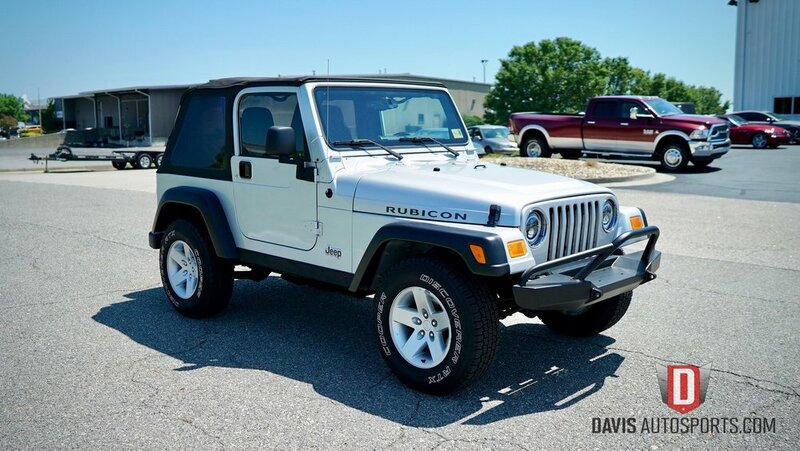 This 2005 Jeep Wrangler Rubicon 4x4 is in Exceptional Overall Condition for the year and miles!! 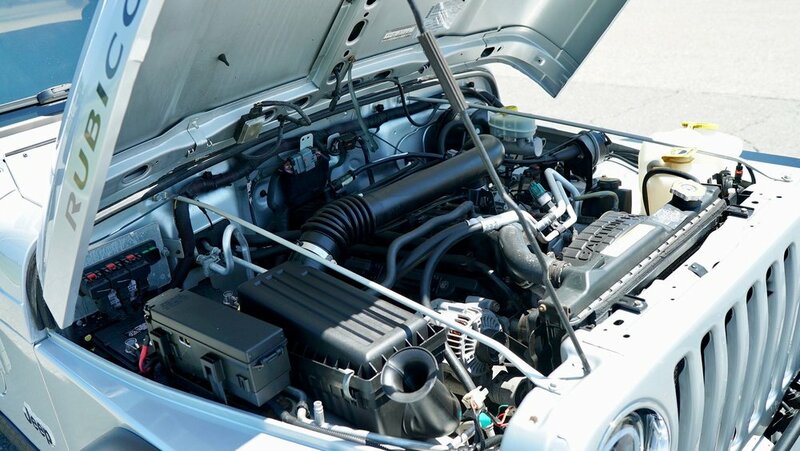 The Legendary 4.0L Inline 6cyl Engine is known for it's Longevity & Dependability!! The Engine Runs just as it should...Very Strong and Starts up and Runs with No Issues!! All driving components work just as they should. The 6 Speed Manual Transmission shifts great, just as it should with no issues!! The 4x4 System works great and engages and works properly!! Overall, the complete Drivetrain has No Known Issues & Rides Great! 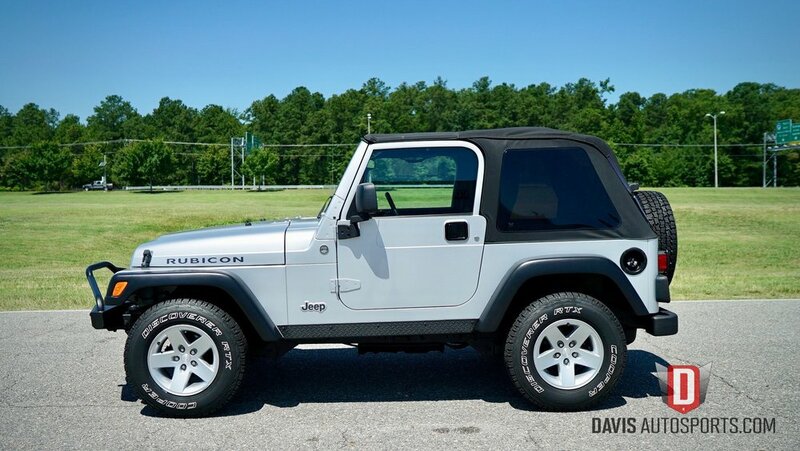 As Great of Condition as this Jeep is in, Please Remember IT IS a Pre-Owned vehicle. You may find some very minor wear from it being driven, both Interior and Exterior. 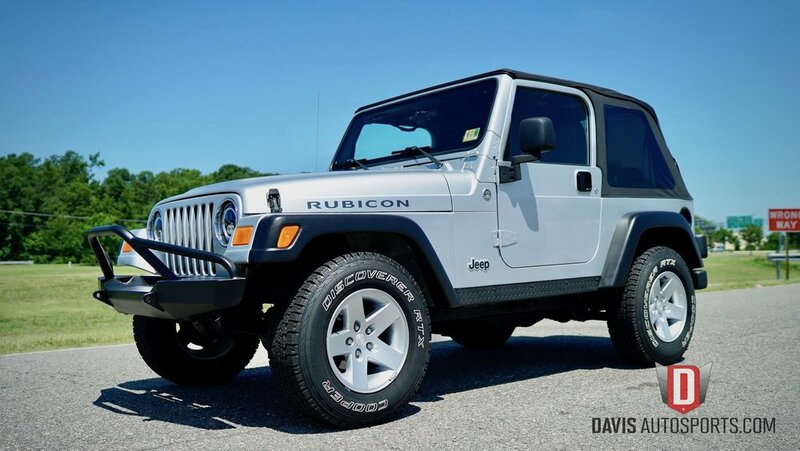 Please Read Entire Ad & Enjoy the 100+ Pictures and the HD Video of this Rubicon!! 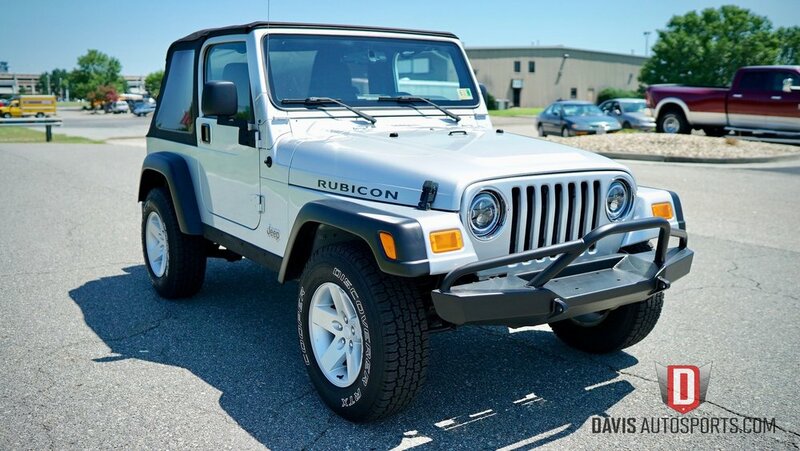 Good Luck and Thanks for viewing this 2005 Jeep Wrangler Rubicon! !